Sound familiar? 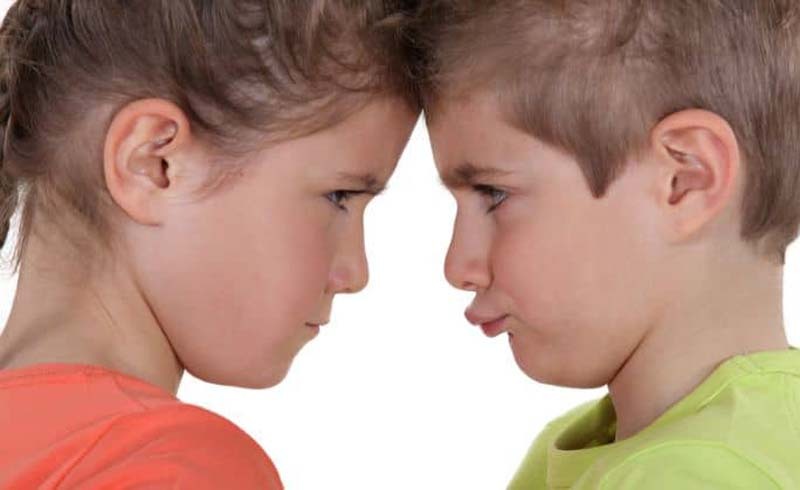 If you’ve got two or more children, you probably know how intense and hurtful sibling rivalry can be — over the most trivial of things. “In our house, sometimes there’s bickering over who gets to roller-skate down the driveway first,” says Pat Weston, a mom of four in Coatesville, Pennsylvania. Resolving the conflicts, however, is far from a trivial matter. These early tugs of war with siblings affect self-esteem and autonomy, future friendships and family harmony, according to experts. Even the ways adults handle problems can hark back to early battles with a brother or sister. As a parent or guardian, how do you play up warmth, sharing and cooperation — while understanding feelings of jealousy, anger and aggression? Try these tips for peace. Focus on feelings. When they’re angry, children are too flustered to process information correctly. Crary advises working between crises to teach calm-down techniques — how to breathe deeply or shake out the “mads,” for example. When everyone is less incensed, try helping your kids to identify and express their underlying emotions, and listen sensitively to each one’s side. At first, especially with very young children, you may need to do some prompting. For example: “I can see you’re sad that your sister doesn’t feel like sharing her crayons right now.” Or, “You seem upset that Mommy spends so much time feeding the baby.” When kids learn that their feelings will be acknowledged, they often become more empathetic to others. In her studies, Ross found that parents actually enforce their rules inconsistently, only about half the time. During busy periods, perhaps they don’t follow through, or even forget the rules they created. Aggressive acts by kids generate more notice than violations against property — taking a toy, or not sharing, for instance. “But property and individual rights are important to kids, and so is consistency,” says Ross. A possession a child prizes should be protected to limit confrontations. Privacy and personal space deserve protection too. And to avoid remote-control rumbles, be clear about the schedule for TV, video or computer games. A timer or calendar can prevent countless “It’s my turn!” feuds. Let kids own the answer. When establishing rules or handling conflicts, help children find solutions on their own. A three-step plan is a good idea. First, define the issue: “What are you fighting over?” Next, promote understanding by asking each child to repeat the other’s point of view: “What did your brother say about playing with his Lego toys?” Finally, see if the kids can brainstorm a solution. Working together, the Di Miceli boys opted to watch “Sesame Street” on the big family TV. If oldest brother Chase got bored, he could watch cartoons on the set upstairs. Chase also swapped computer time. He gets to use the Playhouse Disney games before school, and four-year-old Grayson takes his turn in the afternoon. “Children are more thoughtful, creative and acquiescent when they have say-so in solving their problems,” Ross explains. Model good behavior. Mom is typically the referee in disputes, but according to one study, Dad’s positive influence has more weight when it comes to cooperation. “Affectionate fathers who showed how to share and take turns taught children a style of interaction that increased cooperation,” states Brenda Volling, associate professor of psychology at the University of Michigan. 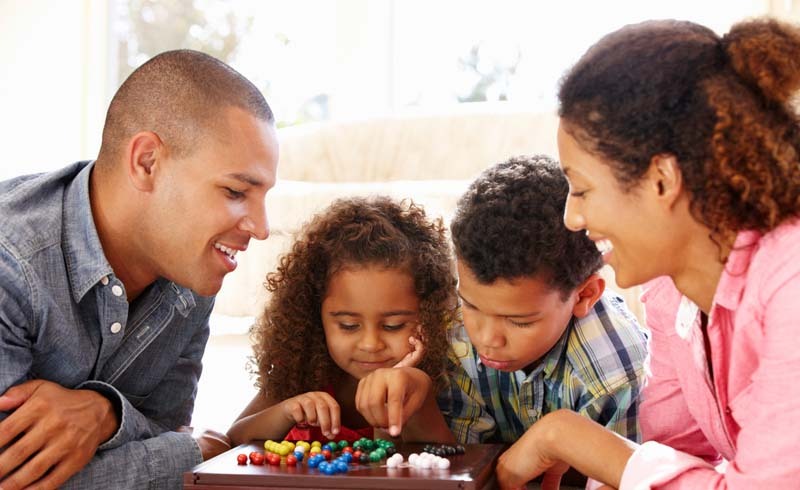 Parents can create teachable moments by playing family board games that promote cooperation. Or they can set the stage for pretend play that allows each child to have an exciting role. (“Your sister wants to be a police officer, so how about if you become a firefighter?”) Kids are highly motivated to have close, loving relationships within the family, say the experts. And cooperation with one another spirals outward in their lives, attracting friends who appreciate their social skills. Says Volling, “Showing kids how to express their feelings, compromise, and have fun together is a lifelong gift.” Those early sibling bonds really do mean a lot.